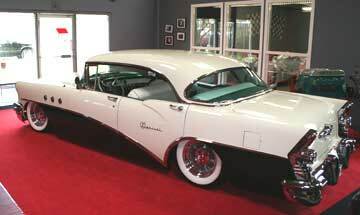 The award-winning paint and body work on this car are exceptional in every way. A Two-tone car deserves two very special colors. The white is the slick white you see on 2005 Chrysler 300's and Magnums. It is called cool vanilla. And... it is very, very, cool. The green is a House of Kolor's candy that can dazzle your eyes and mind. Do not stare directly at it for extended periods of time. You may never return. This color selection combines in a statement that falls somewhere between "Look at me!" and "Hang Loose!". 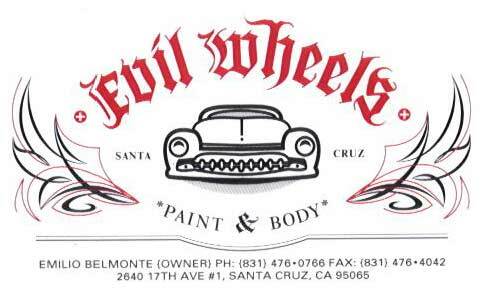 Emilio at Evil Wheels Paint & Body in Santa Cruz did the award winning paint on The Buick.